The first dynamic mic of its kind, the Shure KSM8 Dualdyne microphone combines two diaphragms, aerospace SoftMag technology, a patent-pending Diaphragm Stabilization System, and internal shockmounting to provide you with phenomenally smooth and consistent sound that will revolutionize your vocals onstage and in the studio. A massive sweet spot and minimal proximity effect provide dependable performance across a wide range of mic techniques. Combined with the way it naturally tames harsh upper mids, the KSM8 is ideal for both vocals and various instrument sounds. 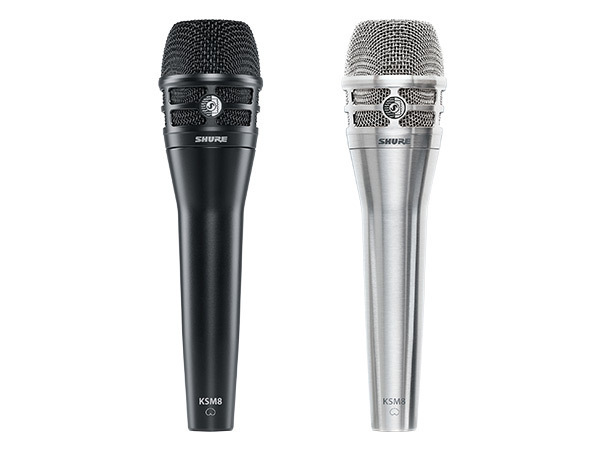 Thanks to its unique Dualdyne 2-diaphragm dynamic cartridge and reverse airflow design, the Shure KSM8 exhibits the lowest proximity effect of any standard-size handheld microphone Sweetwater engineers have gotten their hands on. As a result, you'll find this microphone ideal for vocalists who like to choke up on the mic. While it handles deep, booming voices beautifully, you'll be equally impressed by the way the KSM8 evens out upper mids, providing you with polished results, right at the mic. 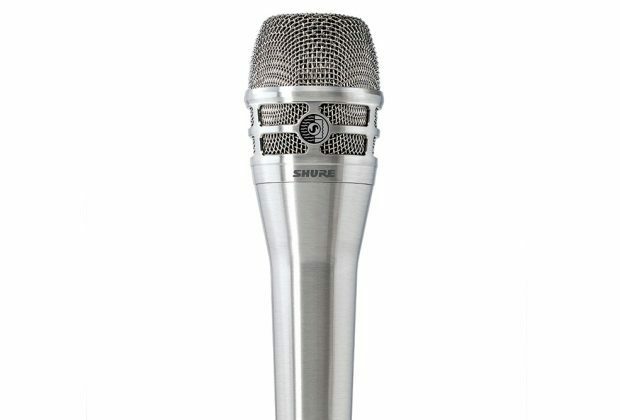 If there's one word that best describes the KSM8 Dualdyne dynamic microphone, it's "consistent." Whether you're right up on the grille or considerably backed off, the sound is remarkably similar. This has two immediate benefits. First, if you're working with an active vocalist whose performance style brings them closer and farther away from the microphone, they can always be in the sweet spot, never sounding too thin or too boomy. Second, if you're recording overdubs in the studio, the KSM8 is a lot more forgiving than most microphones, so you don't have to worry as much about mic positioning if you're coming back to a session. And, as an added benefit of its breakthrough dual-diaphragm arrangement, the KSM8 also minimizes plosive pops, adding further consistency to your sound. While the KSM8 may be one of the most innovative vocal dynamic microphones ever created, it's also an absolutely brilliant instrument microphone. In fact, the same mellow and smooth upper-midrange handling that makes the KSM8 ideal for vocals takes the harsh edge off of brass instruments, honky guitar cabinets, hi-hats, and more. Once you start experimenting with this amazing microphone, you'll find yourself using it constantly, both in the studio and onstage.